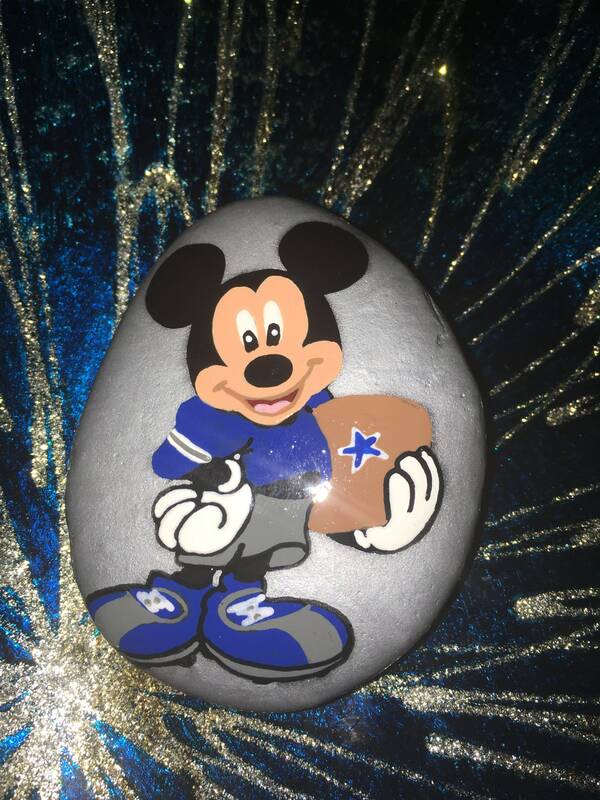 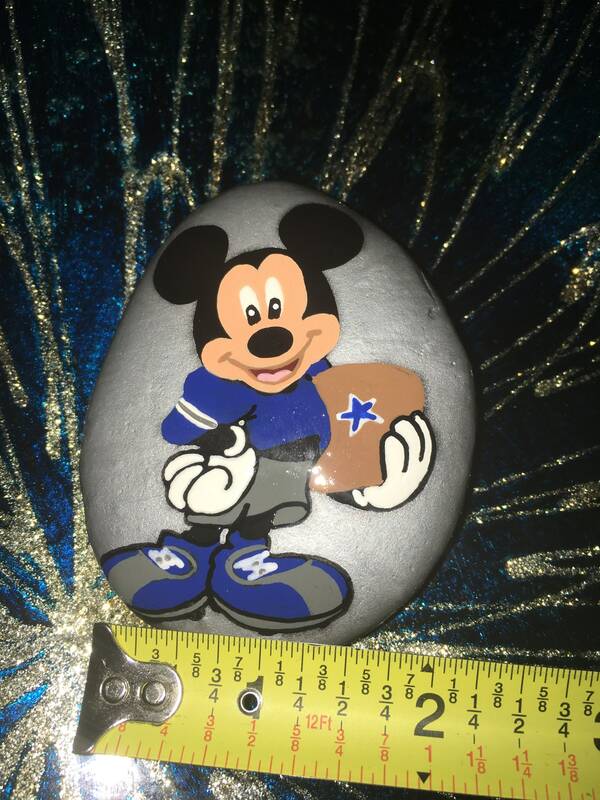 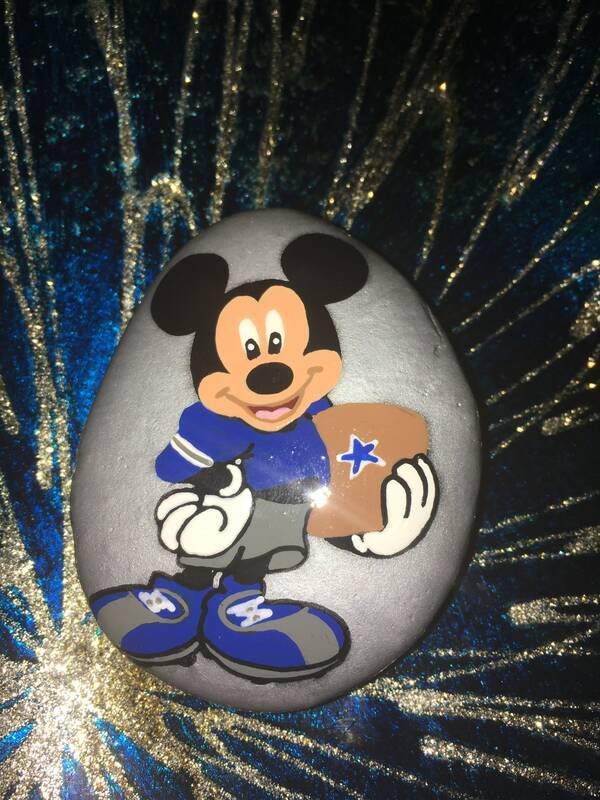 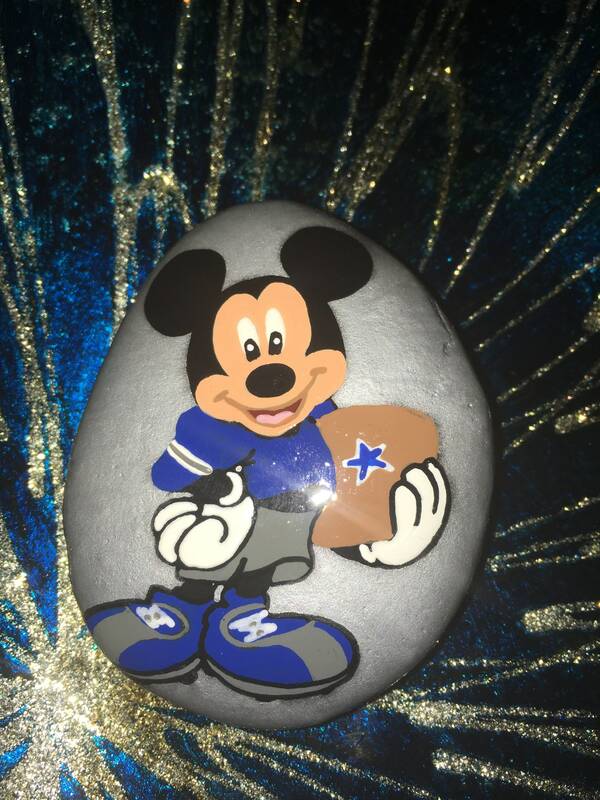 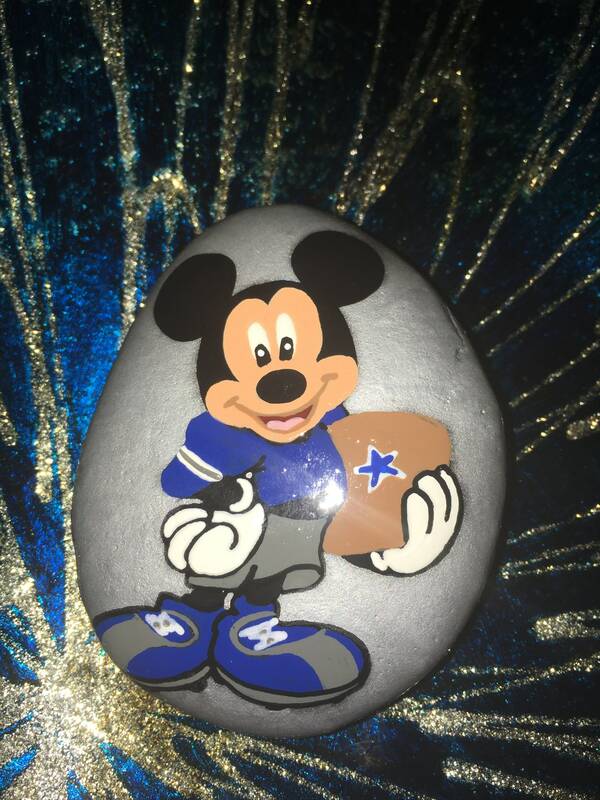 Get your very own personalized NFL themed Mickey rock! Pick your favorite team and all design the jersey and football with your favorite teams colors and logo. 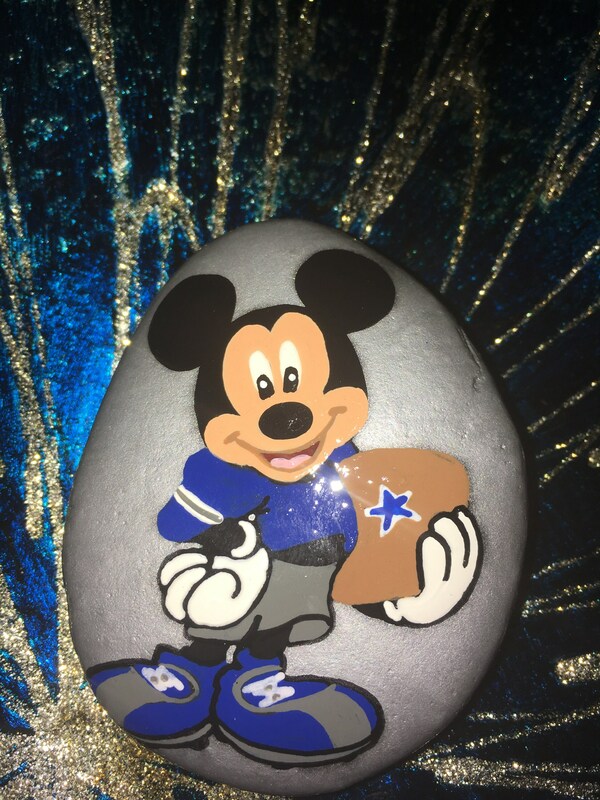 It’s been signed, dated and sealed with resin for all purpose use. 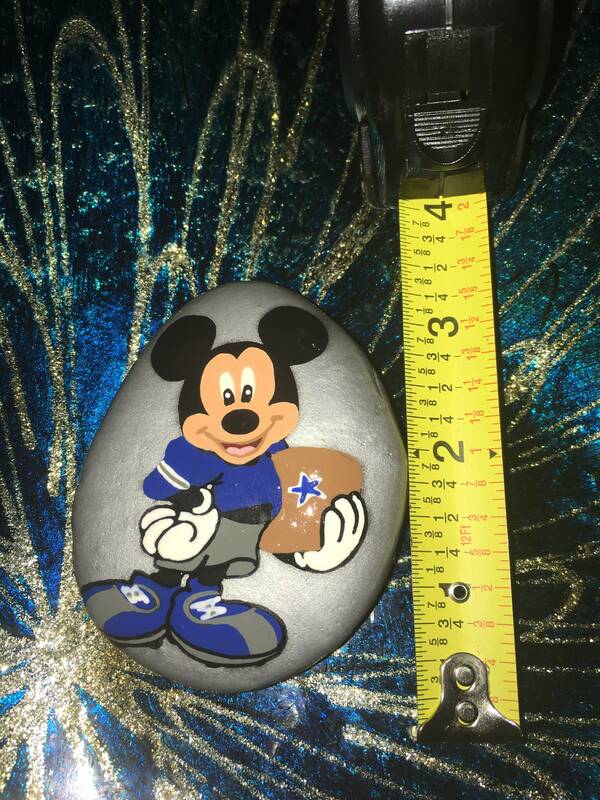 © 2019 Lets Get Rocked Studio.